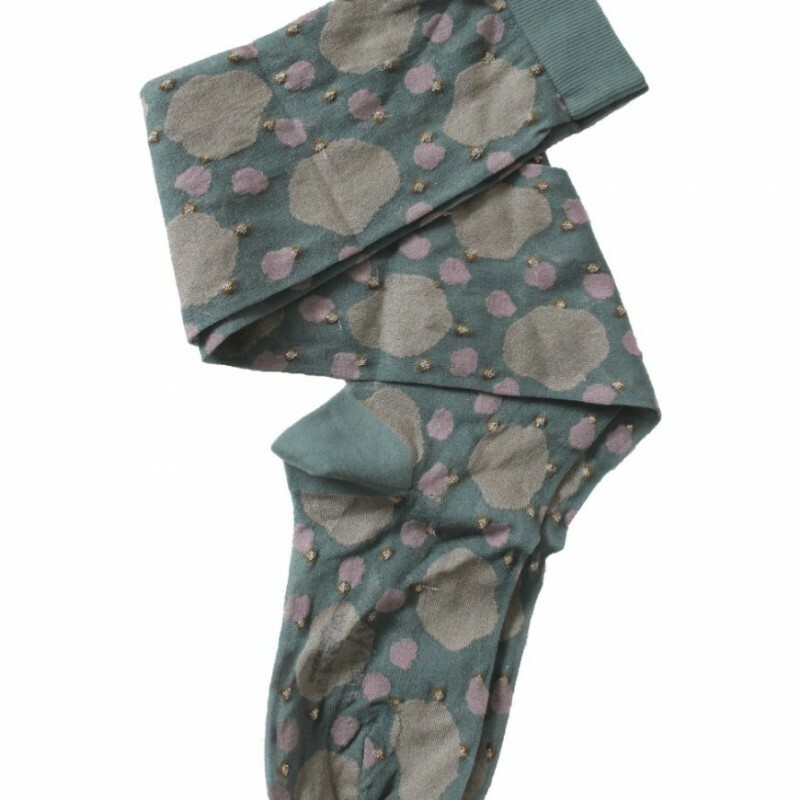 Made by artisan craftsmen in Japan, these knee-high socks by Ayame have a sheer texture with a unique pattern of shapes and metallic dots. A muted grey-ish green colour with dusty beige and pink shapes and gold metallic dots. 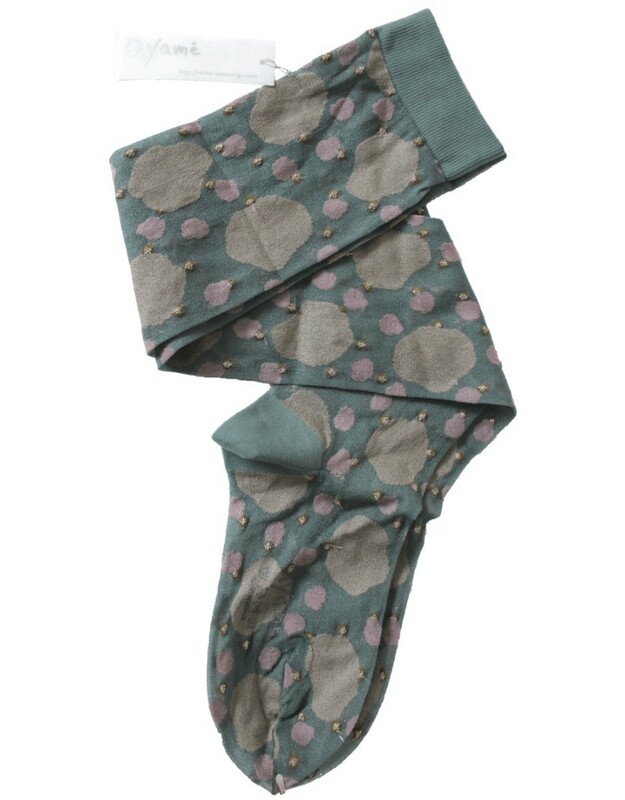 Made by artisan craftsmen in Japan, these knee-high socks by Ayame have a sheer texture with a unique pattern of shapes and metallic dots. One-Size. A muted grey-ish green colour.